The biggest movie soundtrack with the biggest stars in hip hop and r&b. The Official #Soundtrack is gonna hook up the Next Big Star! 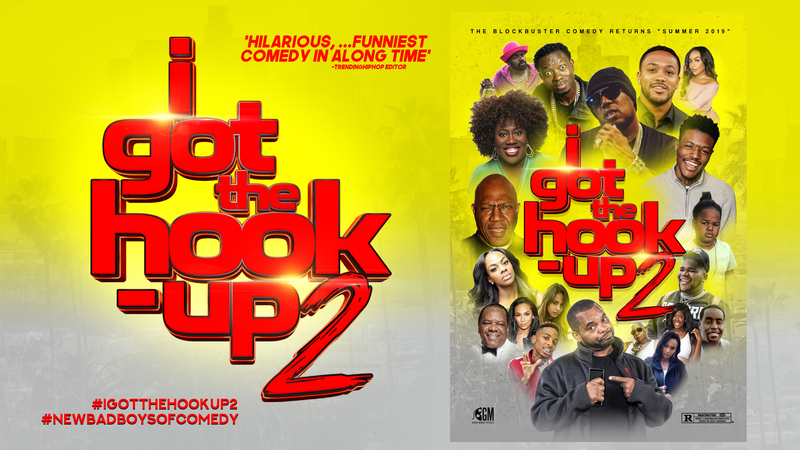 Post your original song on social media using hashtag #IGOTTHEHOOKUP2 and submit the songs URL LINK via email to: Song@IGOTTHEHOOKUP2.com (or below)for your chance to be featured on the soundtrack and also win $10K Prize from the #1 Urban Comedy "I GOT THE HOOK-UP 2" Coming to Theaters everywhere in 2019. 2. SUBMIT your songs url link via email or form below to Submit your song now. *Winners will be contacted via email by our team up till april 2019. *Only 1 Entry Per Person, No Spamming.